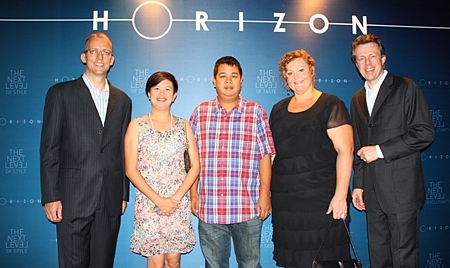 The Hilton Pattaya sent its guests to the stars with the Grand Opening of the Horizon roof-top restaurant on the 34th floor of the hotel. 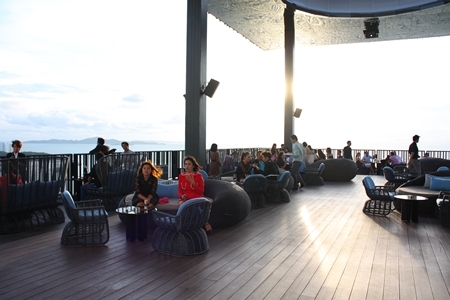 This latest entertainment venue is Pattaya’s only rooftop restaurant and bar that offers uninterrupted, panoramic views of the city. 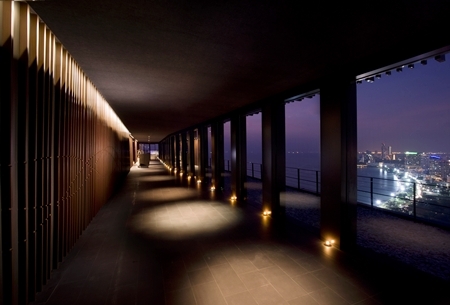 Horizon features 1,390 square meters of indoor and outdoor space, which includes three private dining rooms with floor to ceiling glass panels allowing for seamless views over the city and the bay. 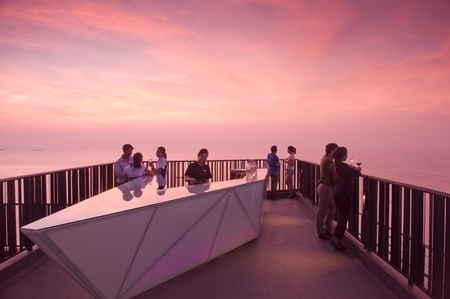 Guests can also enjoy a few drinks at the open-air Infinity Bar while taking in views of the skyline. 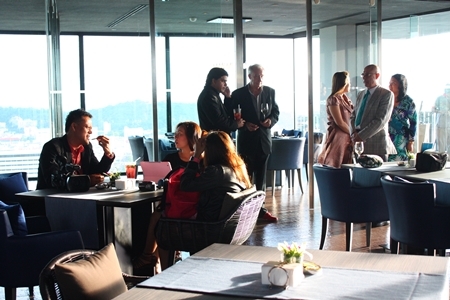 Horizon is also available for reservations by guests who wish to book the venue for an extravagant and memorable private event – setting new standards for entertainment in Pattaya. 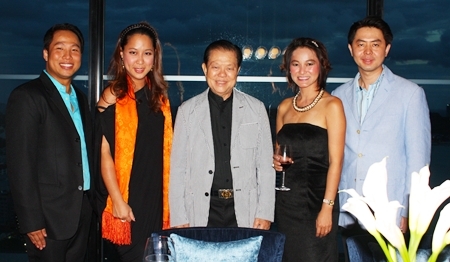 “As a popular tourist destination, Pattaya is already well known for its wide selection of diverse and sophisticated dining options. 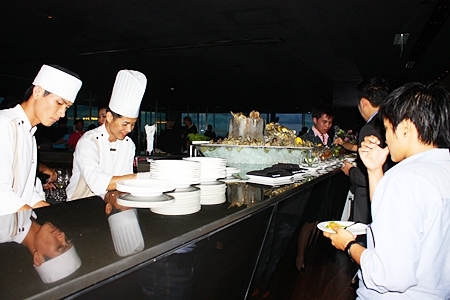 We sought to differentiate the food and beverage offerings at Hilton Pattaya by providing a ‘modern twist’ to the food and drinks served. 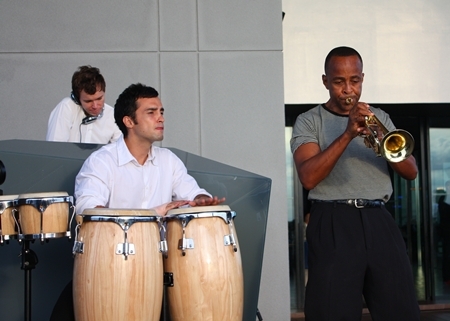 The exceptional dining experiences at the hotel are complemented by equally impressive views, ambience and service. 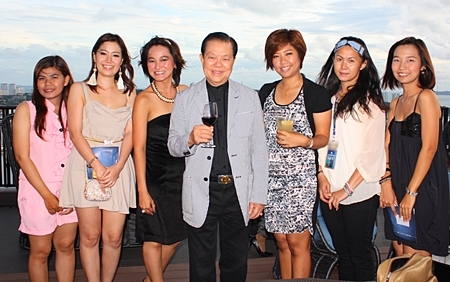 We anticipate that for many international and domestic travelers visiting Pattaya, a visit to one of Hilton Pattaya’s outstanding restaurants and bars will be high on their ‘To Do list’ and naturally Horizon, with its unique-design philosophy, will top that list,” said Harald Feurstein, general manager, Hilton Pattaya. It may have been a long time coming, but the venue is just spectacular, described by the Hilton management as a “new level of style”, and that it certainly is. 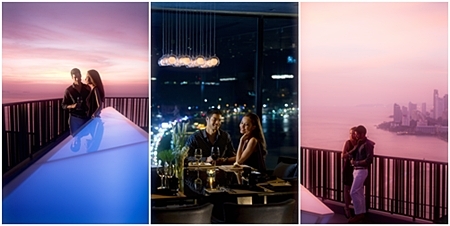 As the sun sets over Pattaya Bay, a myriad of twinkling stars begin to glow in the ceiling, emulating the night sky. And not only that, the roof-top covering features the “hole in the ozone layer” through which the guests can see the moon. 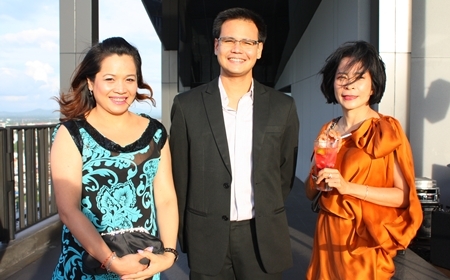 A truly innovative rooftop concept, Horizon was designed by the world-class, Bangkok-based architecture and interior design firm DWP, recognized for their iconic designs throughout the world. Their brief was simple; create a place where guests will understand the meaning of style, taste and exclusivity high above the world. The result exceeded expectations by including sleek, clean lines and capturing the extended space beyond the normal footprint of the building with the suspended Infinity Bar. One of the most remarkable architectural aspects taking outdoor dining to the next level is the open air “Stargazer Lounge” where guest can literally witness the relative movement of the stars through the circular opening in the overhanging roof. 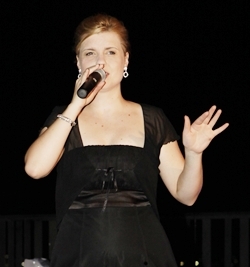 Austrian Jazz singer Simone Kopmajer highlighted the night with her brilliant voice. The hotel has brought on board Executive Sous Chef Shaun Venter to head Horizon’s culinary team, working alongside Executive Chef Supoj Suwanwong and Food and Beverage Manager, Simon Bender, a combination of more than 45 years of culinary experience. A new menu has been created with an emphasis on choice cuts, globally inspired flavors and fused influences; Chef Shaun uses original and authentic dishes as a base and then adds contemporary techniques and flair. 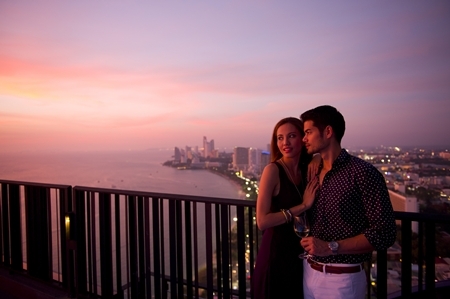 An approach that is sure to please Hilton Pattaya’s sophisticated, international clientele. The restaurant has glass sides, so that the diners can enjoy the view and there are private dining sections for up to eight people, with the full a la carte menu. 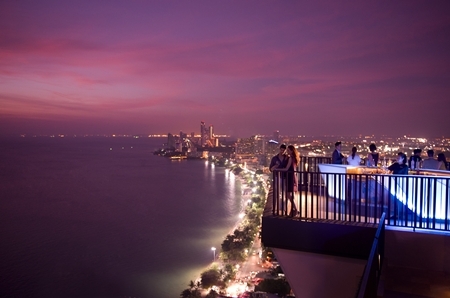 From the 34th floor, the Pattaya vista is even more impressive, and no-one left the opening party without making a vow to return. 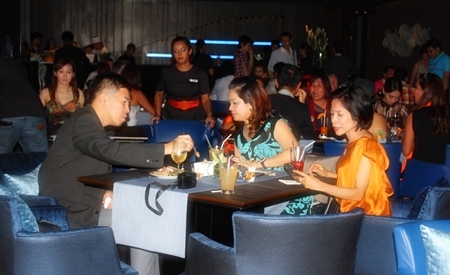 It is a new and different style, at a “new level” and one of which that Pattaya can be justifiably proud. 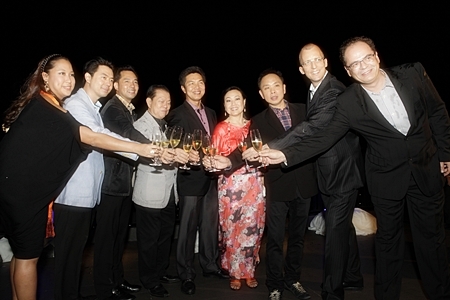 (L-R) Supichaya Suracupt, Director of Social Affairs & Publicity, CPN; MP Poramase Ngampiches, Itthiphol Kunplome, acting Pattaya City mayor; MP Sansak Ngampiches; Naris Choeyklin, Senior EVP & CFO, CPN; Wallaya Chirathivat, Senior EVP-BD & Construction Management, CPN; Dr. Nattakit Tangpoonsinthana, Executive VP – Marketing, CPN, Harald Feurstein, General Manager, Hilton Pattaya and Thomas Hoeborn, GM, Millennium Hilton BKK & Regional GM-Thailand toast to the opening of Horizon, May 26, 2012. 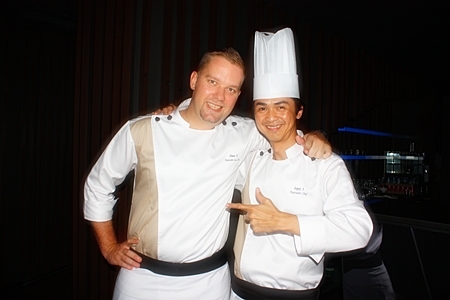 Executive Sous Chef Shaun Venter (left) with Executive Chef Supoj Suwanwong (right). 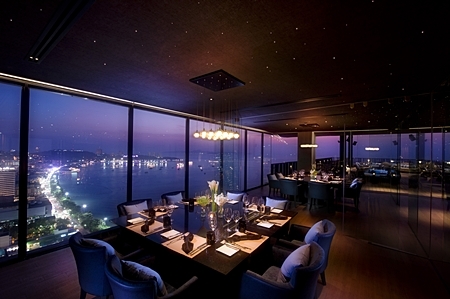 One of the three private dining rooms overlooking Pattaya bay. 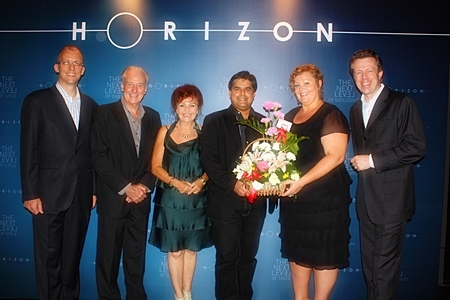 (From 2nd left) Pattaya Mail’s Dr. Iain Corness, Elfi Seitz and Tony Malhotra congratulate Hilton Pattaya Peta Ruiter, Director of Business Development, Hilton Pattaya along with Michel Scheffers, director of operations and Harald Feurstein, (left) General Manager. The extended space beyond the normal footprint of the building with the suspended ‘Infinity Bar’. 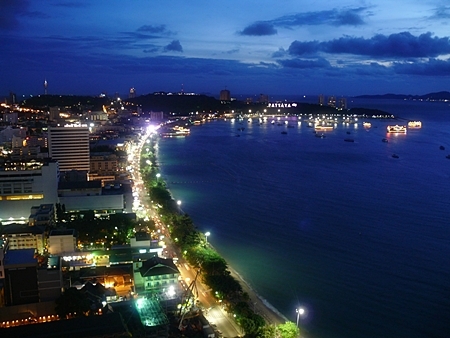 From the 34th floor, the Pattaya vista is most impressive. 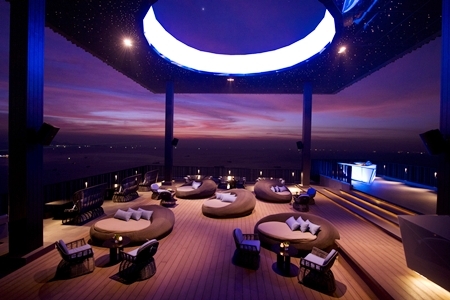 The roof-top covering features the “hole in the ozone layer” through which the guests can see the moon.